Would you want every minute of your life recorded? I have to say, my first thought was “ick.” I thought of loss of privacy. “How a child learns language” was the point of the long, long experiment. Before lunch on 11-11-11 Bugs, FreakJet.com, Gracehaven House, SOAP, human trafficking. After lunch topics included but were not limited to: bias, architecture, Columbus Idea Foundry, The Salty Caramels, STEM, “Gift of Life”, music, poetry. 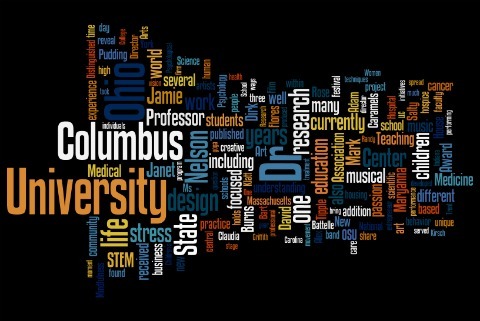 This Wordle is from the program information about the speakers. the “Bug Guy” was good… there was something for everyone’s taste! Nice to meet you.